We treat your pets like a valued part of the family! It is our privilege to provide the loving care and professional attention your furry companions deserve. 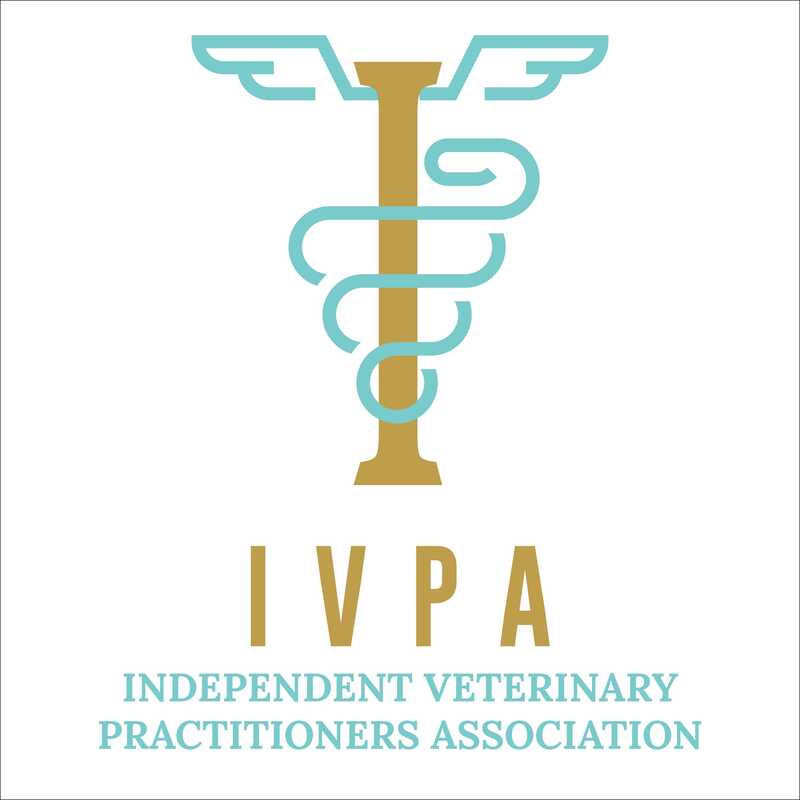 Our dedicated team of veterinary professionals want to provide you with peace of mind while helping your pet to live the happiest, healthiest life possible. We care as much as you as a pet owner as we do about your pet. 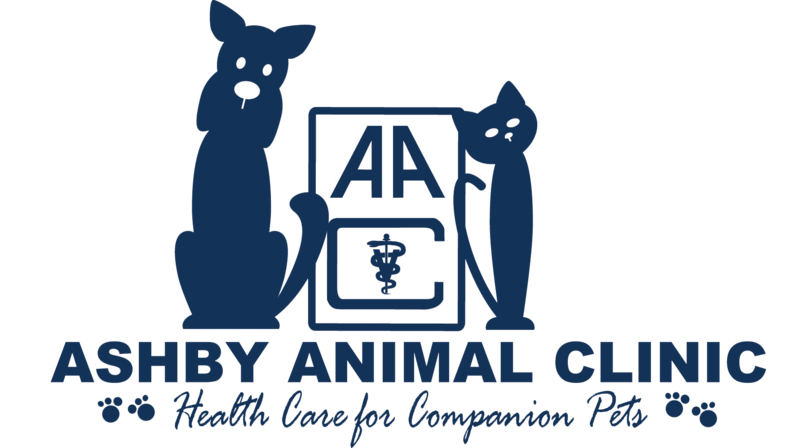 With state-of-the-art equipment and highly trained doctors and staff, Ashby Animal Clinic will provide quality treatment and the best possible preventative care program to maintain your pet's health based on your pet's individual needs. Dr. Bell is from Williamsburg, VA. She completed her undergraduate program at VA Tech-Animal Science and received her BS degree in 2001, then received her D.V.M. from VA Tech in 2007. Dr. Simmons grew up in Bridgewater, VA. He received his B.S. in General Science from Bridgewater College. He attended VA Tech and received his Doctorate in Veterinary Medicine from UGA. 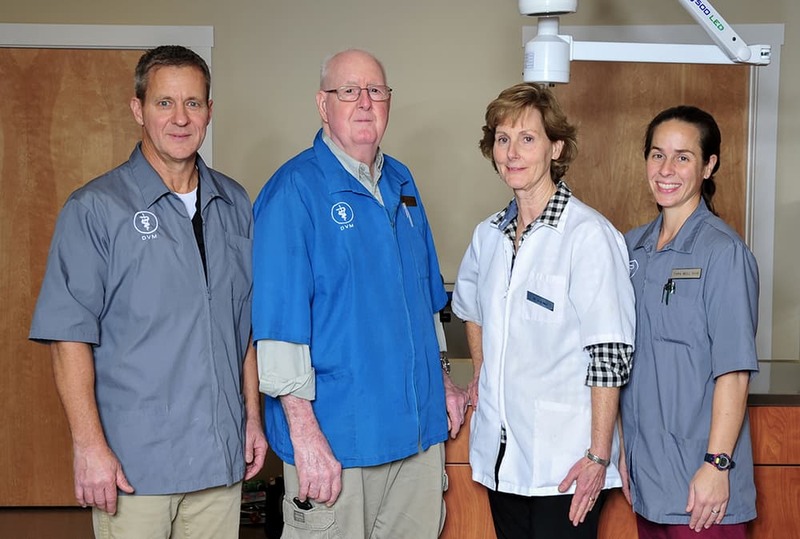 Dr. Whitman has been working at Ashby Animal Clinic since July of 1991. Dr. Whitman received her Doctor of Veterinary Medicine from Virginia Tech in 1989 and her Masters in Bovine Reproduction from Virginia Tech in 1984. Dr. Moran has returned to Ashby Animal Clinic as an Associate Veterinarian. Dr. May, who goes by her maiden name professionally, is a graduate of Virginia Tech. Dr. Kettelkamp received his Doctorate of Veterinary Medicine from Iowa State University in 2003 and received his Master’s in Public Health in 2018 from the University of Iowa. Tish joined the team of Technicians at Ashby in October 2018. She graduated with a degree in Veterinary Technology from BRCC in 1995. She enjoys educating clients and loving all the patients and learning new things everyday! Outside of work, Tish enjoys spending HOURS on the ball fields with her two children and husband and spending as much time as possible in warmer, sunny beach weather. Her furry family consists of 3 cats and 2 guinea pigs. Liz graduated from BRCC in 2011 with a Associates Degree in Veterinary Technology and joined the Ashby team in May of 2011. Liz enjoys caring for the hospitalized patients and client education. In 2016 Liz graduated with a Bachelor's of Science in Nursing and works at Sentara RMH. In her free time Liz enjoys riding her horses, hiking, and traveling. She owns three horses and two dogs. Morgan joined AAC in June of 2013 and worked as a receptionist/assistant while attending college. She then became a Licensed Technician when she graduated from BRCC in May 2015 with an Associate’s degree in Veterinary Technology. Morgan enjoys canine medicine in particular. In her free time, Morgan enjoys freshwater and saltwater fishing as well as being outdoors in general. Morgan has three dogs and several chickens. Justin graduated from BRCC in May of 2010 with an Associate’s degree in Veterinary Technology. He joined AAC in August 2013 as a Licensed Technician. Justin enjoys surgery and all aspects of canine medicine. In his free time, Justin enjoys hiking, camping, swimming and spending time with family. He has six dogs, three cats, and various breeds of chickens, ducks, and geese. Whitney graduated from BRCC in May of 2007 with an Associate’s Degree in Veterinary Technology. She joined AAC in September as a Licensed Technician. In the clinic, Whitney enjoys surgery and radiography. In her free time she enjoys cooking, hiking, kayaking, and traveling to new places. She has two dogs: Scooter and Penny. I have been working at Ashby full time since 1995. However, I have been involved with Ashby since it opened...I was 3!. I am a graduate of JMU, bachelors in 1993 and MBA in 2005. Married with 4 grown children.....1 daughter and 3 sons, as well as 2 dogs and 3 granddogs..a Yorkie, Papillion-Pomeranian, Lab, Frenchie and a Labradoodle! most enjoy the unpredictableness of my job--never know what the day brings! Winnie joined the AAC staff part-time in February 2014 and quickly became full time. Winne enjoys office work and seeing all the puppies and kittens come into the clinic. Outside of work she enjoys her family, camping, swimming, and being around water in general. Winnie has two dogs, one cat, and two horses. Hannah joined AAC in December 2017 as a Veterinary Assistant/CSR while attending college. She is currently studying to become a Licensed Veterinary Technician. Hannah enjoys seeing all of our patients, especially the puppies and kittens. In her free time, she enjoys being on her family farm. She has a dog, a horse and some cows. Chelsea joined the Ashby staff in October of 2018. She graduated from the Veterinary Assistant program in June 2014 and has over 5 years experience in the Veterinary field. Chelsea enjoys being able to help animals and educate clients about their pets. Outside of work, she enjoys hiking, off-roading, camping and hanging out on the couch with her dogs and her husband, Ryan. Julia Joined the AAC Staff in 2014 as an Office Assistant. Her favorite part of her days at Ashby is talking to all the clients and visiting with their pets--especially the puppies! Julia is currently in school, studying to become a Radiology Technician. In her free time, she likes to sing and play guitar and ride horses. Julia's has a coonhound and 2 quarter horses. Sara joined the Reception team at Ashby in November 2018. What she enjoys most about her work is meeting all the friendly clients and their cute furry family members! Sara is married to her best friend and they have 2 daughters, one in high school and one almost done with college. The family pet is a chihuahua named Tito McBurrito. In her free time, Sara loves to be with her family and travel to Mexico. Estoy aqui para ayudarte con todas tus necesidades con tus perros y gatos! Ashley joined the AAC team in September 2018 as our full-time receptionist. Ashley loves being in the company of her furry friends and help educate their humans. She comes to AAC with 12yrs of experience in the animal care industry. Outside of work Ashley lives with her son, two dogs and two cats. In their free time they enjoy hiking, kayaking and spending time relaxing at home. Morgan joined the team at Ashby in May 2018 while doing her internship for the Veterinary Technology Progam at Blue Ridge Community College. She will graduate in May from BRCC. At Ashby, she enjoys canine medicine and educating clients on the best care for their furry family members. In her free time, Morgan enjoys hiking, fishing and hunting and just being outside. Morgan has 2 labs, a walker hound and a shih tzu in her fur-baby family. Contact us with your questions, concerns, or to make an appointment.